6217 Starling Way Sanibel, FL. | MLS# 219006786 | Southwest Florida Residential Real Estate for Sale. One of the most outstanding and private waterfront properties on Sanibel Island. Over 150 feet of waterfront frontage with western exposure offering championship sunsets nightly. Big water views with panoramic vistas at one of the widest parts of Dinkins Bayou. 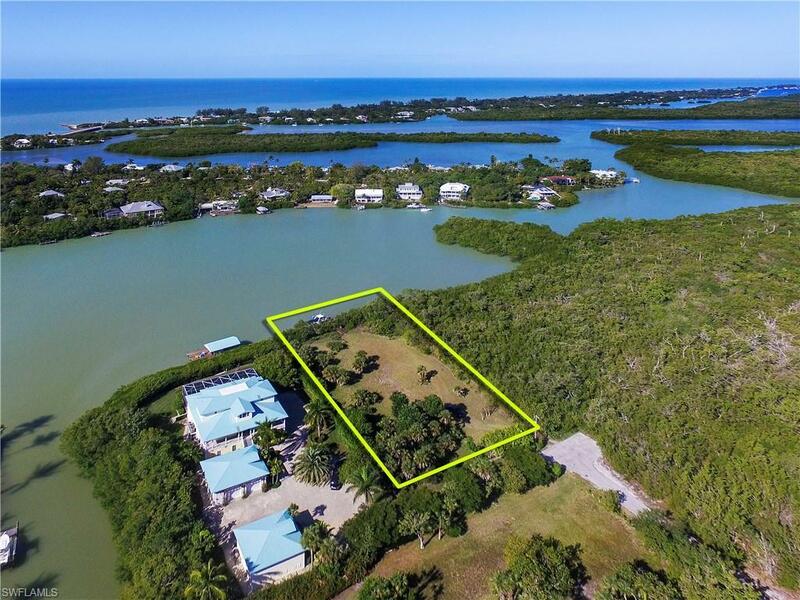 Neighboring conservation land to your right offering the privacy and natural environment that places Sanibel Island on the map as one of the most outstanding areas to live and play. Property is cleared w/ boat dock and lift in place w/ water and electric. Very close to an acre in size, this parcel offers wonderful options for building. Surrounded by nature yet steps to the private Sanctuary Club w/ amenities including world class restaurant and golfing, bocci ball courts, pickle ball and tennis and a brand new state of the art fitness and wellness center. Fantastic fishing from your back door, incredible nature with daily visits by eagles, ospreys, dolphins and manatees. Premier property on Sanibel. Very special.